This section provides information specific to my studio. If you have any questions, please do not hesitate to contact me. Please see the lesson page for information on lessons, cancellations, and make-up policies. My piano studio is attached to my home and I have a cat that occasionally wanders in. If you are allergic to cats, please let me know. I expect all of my students to practice and all parents to play the Suzuki cd's. Consistent practice is important and progess will not occur without practice. Any student who is regularly unprepared for his/her lesson will be asked to discontinue. There are a few necessary items and commitments for a successful beginning for your child. 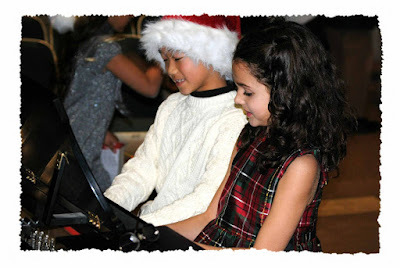 Items - a good piano, regularly tuned or a weighted-keys digital piano; a cd player easily accessible for daily use; firm pads/cushions or adjustable bench; a footstool to support the students' feet; a quiet environment to practice. Commitments - attend all lessons at your weekly scheduled time; attend all concerts with the student, whether he/she chooses to play or not; practice daily with your child; play the Suzuki book recording daily for your child; give encouragement and praise for any progress made.